Nail Heating & Air Conditioning, Inc is a full service company dedicated to providing 100% customer satisfaction and comfort solutions for homeowners, businesses and new construction. A well qualified team of professionals with combined experience of over 50 years in the heating and air conditioning business, Nail Heating & Air Conditioning is here to service all of your HVAC needs in the Southern Crescent and metro Atlanta area to include Henry, Clayton, Spalding and Fayette Counties. 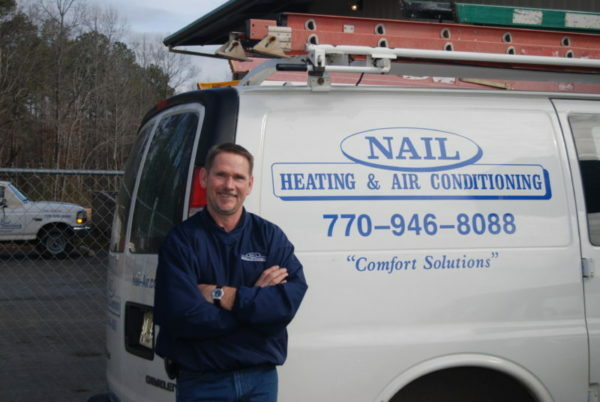 For over 20 years, Nail Heating & Air has provided “simple worry-free comfort” to all of metro Atlanta and the Southern Crescent. 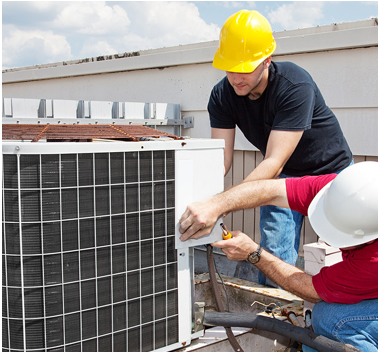 Specializing in residential and light commercial HVAC, we have provided the surrounding area with skilled employees, great products and prompt service. Homeowners, businesses and new construction alike can depend on Nail Heating & Air for quality service and installation. We work hard to keep your family comfortable year round. At Nail Heating & Air Conditioning, we believe in supporting our community for future generations to come. We sponsor many area youth leagues to include various sports, cheerleading, bands, etc. As a Partner in Education for Elementary Schools throughout Clayton, Fayette and Henry Counties, we are dedicated to improving the quality of education for our children. We also contribute to our community by donating time and materials to various outreach programs such as the Southern Crescent Habitat for Humanity, Relay for Life, the American Cancer Society, A Friend’s House and Shining Light Ministries. Nail Heating & Air Conditioning offers complete service for your home and business. Our service department consists of certified and skilled technicians qualified to repair and maintain your heating and air conditioning equipment and keep it running at peak efficiency. We also offer both our residential customers and our business customers Planned Maintenance Agreements to help ensure their heating and air systems work properly and consistently through out the year. Whether you have an existing system or are building new construction, Nail Heating & Air is here to help you put together the right heating and cooling system to keep you comfortable year round. We are happy to meet with our customers in our showroom or at their residence to come up with heating and air conditioning solutions to make their home or business comfortable year round. Let the comfort professionals at Nail Heating & Air guide you in all of your heating and air needs. Financing is available. Remember, Nail Heating & Air is here to provide you with the comfort you deserve! For all of your heating and air conditioning needs, call 770-946-8088 today. 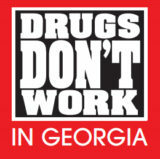 We at Nail Heating and Air Conditioning are proud to be a Georgia State Board of Workers’ Compensation Drug Free Workplace Employer. All employees receive routine drug testing and educational training. All of our technicians are held to the highest standards. We want to ensure our customer’s peace of mind about the person coming into their home. Our commitment to our clients includes making sure they feel safe and secure in their home. All of our employees are background checked both pre-employed and routinely. Nail Heating & Air Conditioning wants to ensure that the person they are sending into your home is trusted and makes you feel safe.